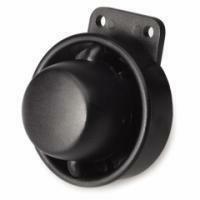 LD-75 Warning Alarm Siren is a small & compact warning alarm that warn bystanders of cars backing up. Screwed-in holes for easy fixure onto transportation equipment or device. Suitable for automobile backing up. Can be screwed onto fixtures. Tone: Bi-Bi-Bi, music, or ringer, etc.